Even if they did. Aren't the world islands sinking into the sea anyway. At the beginning of 2011, Dubai's most notorious man-made islands, a.k.a. The World, made a splash with news that they were slowly but surely sinking into the sea. 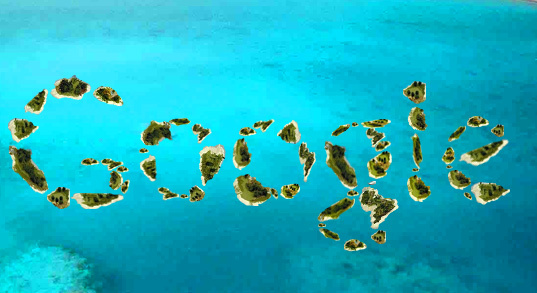 Now, in a bizarre twist of events that even had us surprised (and trust us, we thought we'd seen it all when it comes to The World), Google has announced that it purchased the troubled archipelago and will be reconfiguring it to form the shape of the Google logo. While we've seen the search engine giant dabble in everything from green energy to self-driving cars, this is the first we've heard of them making their way into island real estate. Once complete, the Google-shaped landmasses will be self-sustaining floating cities, and the company reports that it plans to retain a portion of the development for its own private use and sell the rest off to the highest bidders.